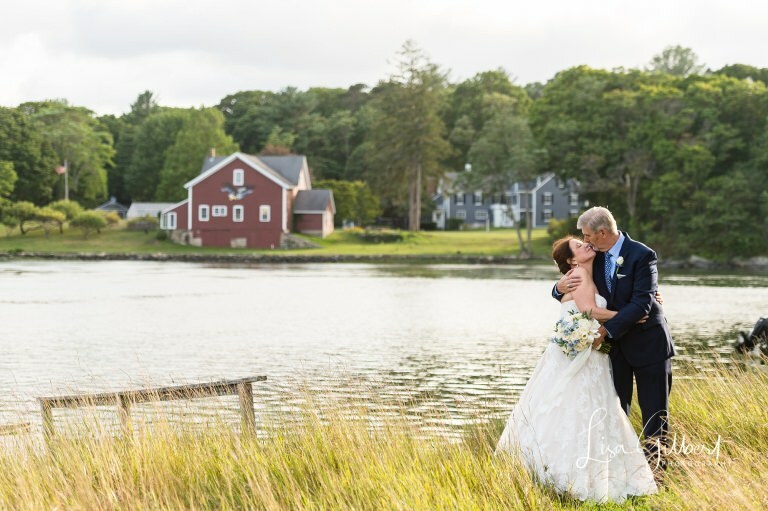 Last autumn, Annette took a chance on an online dating site and agreed to meet Tom for a date at the Old Salt House in Cohasset. Less than one year later, I had the great privilege of joining them, their children and grandchildren (one of Tom’s grandson’s is named Calder — how’s that for fun?!? ), their sisters and brothers, and many of their friends to celebrate their marriage. Tom’s daughter, son-in-law, and tiny baby granddaughter even flew in from London. I knew it was going to be an amazing day — I had photographed the bride and groom several months earlier for their engagement session and they had proven to be great fun, very photogenic, and wildly in love. The day of their wedding was just perfect. 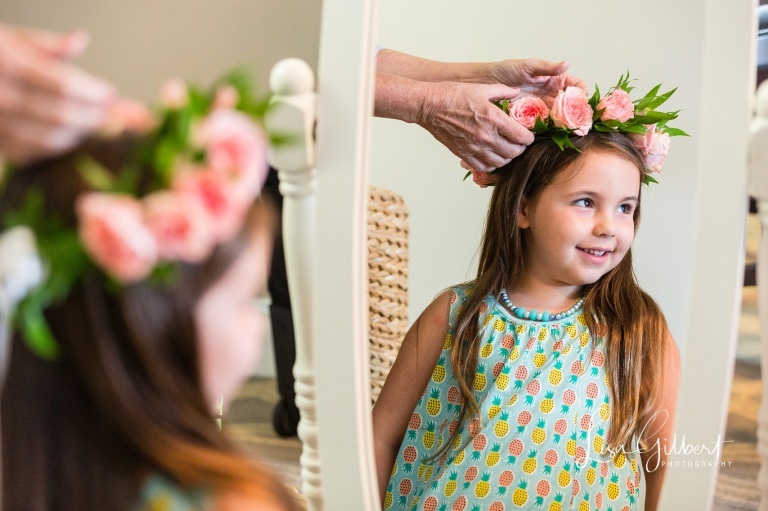 I had a great time hanging out with Annette while she got ready and her two sweet granddaughters played in the room. My trusty second shooter Randy was with the guys, and then we squired Tom down to one of the docks so that he and Annette could have a few quiet moments together before the festivities started. This was one of my favorite parts of the day — I told Tom that I’m a big fan of grooms who cry when they see their bride, and he obliged! 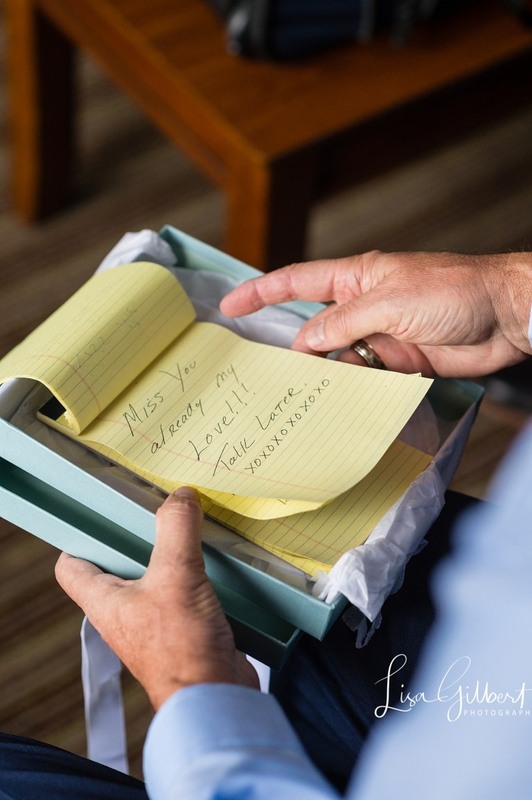 After their first look, there was a lovely Ketubah signing, and then the ceremony at Atlantica. Like many weddings with children, the kids were the stars of the dance floor, but there were plenty of other people out shaking their groove thing and it was truly a fantastic party. I adore stories like these: second chances, love at any age, the celebration of family…I wish them every happiness and lots of adventure!